Bringing together publisher l’Oie de Cravan, Mass. 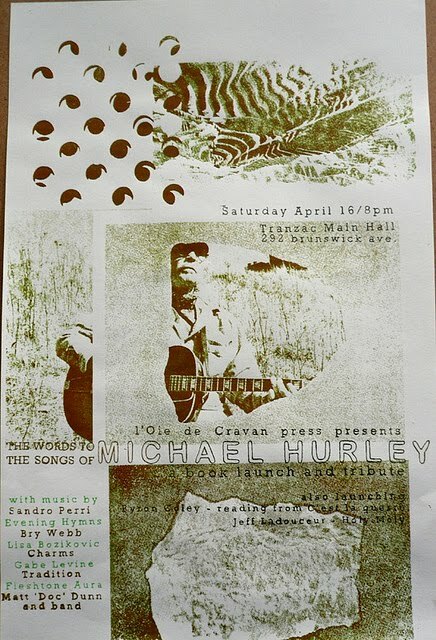 poet/critic Byron Coley and a group of acclaimed musicians in celebration of a triple book launch : a bilingual book of Michael Hurley's lyrics, an anthology of Byron Coley's early articles (with an introduction by Mike Watt) and the sweetest book of the great artist Jeff Ladouceur. Byron Coley has written extensively about underground culture since the mid-70s. His work for Forced Exposure and Spin made him legendary. He is also an astounding poet and a great reader. Since 1989, Glenn Jones has led Boston’s “avant -garage” instrumental rock band Cul de Sac whose musical adventures are documented on nine albums to date, including collaborations with guitarist John Fahey and former Can vocalist Damo Suzuki. Tonight he'll play along Byron's hypnotic baritone. 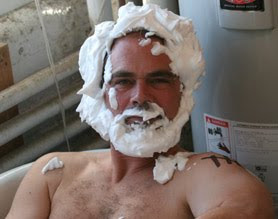 Jeff Ladouceur will be present and will do live drawings in your copies of his book! Two sets of music pay homage to Michael Hurley, the eccentric songwriter also known as Doc Snock, whose 40 years of songs have been seeping into the folk unconscious (including covers by Cat Power and other fans). Hurley’s melodies and words take flight into a world of plenty, inspiring wonder and humour, sin and slowness, laziness and longing. Characters include werewolves, sign-painters, tea and whiskey-drinkers, pork chops and hot dogs, wild geese, intoxicated lovers and blue navigators. 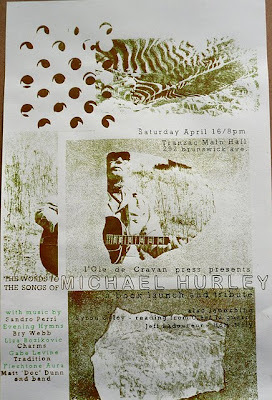 The Words to the Songs of Michael Hurley is the first publication of Snock’s lyrics. "With a finely pointed pen in black ink and a meticulous touch, [Jeff Ladouceur] draws cartoons about a bald, long-nosed, sad sack of a character called "Schmo." Our hero's struggles with ordinary existence and surrealistic encounters with cloud-creatures, tiny elephants, octopuses and an abominable snowman are funny, weird and touching." - Ken Johnson, New York Times. Bringing together Montreal publisher l’Oie de Cravan, NY poet/critic Byron Coley and a group of acclaimed Toronto musicians in celebration of a triple book launch : a bilingual book of Michael Hurley's lyrics, an anthology of Byron Coley's early articles (with an introduction by Mike Watt) and the sweetest book of the great artist Jeff Ladouceur. Along with Byron Coley, Jeff Ladouceur and translator extraordinaire Marie Frankland (who did the french translation of Hurley's and Coley's books) will also be present.